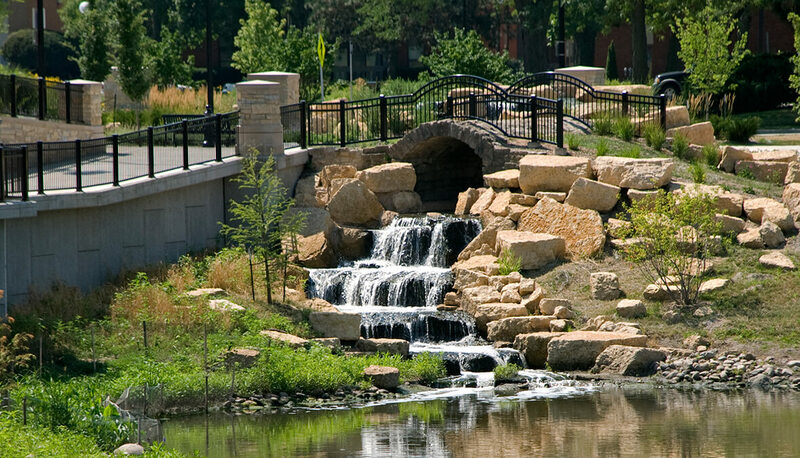 Waterflow Consultants; Lin Engineering, Ltd.
After completing the master plan to redevelop the site of the former Burnham Hospital property, Hitchcock Design Group worked with the City of Champaign on the 2nd Street Detention Project which is Phase Two of the overall Boneyard Creek Improvement Plan. 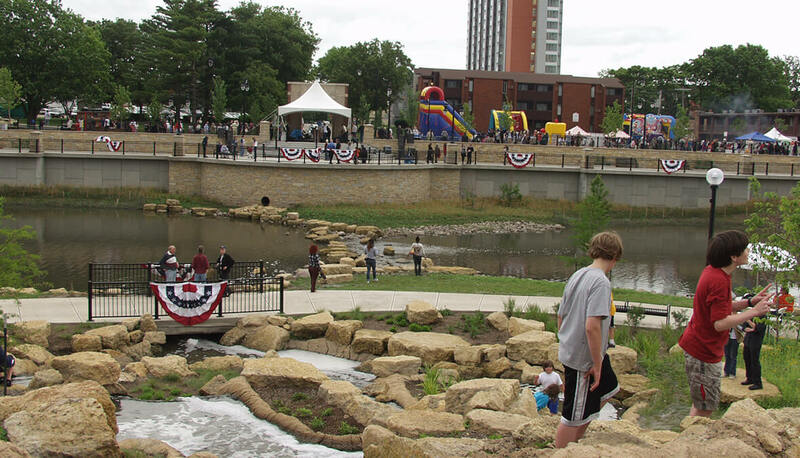 The entire effort is part of a seven-phase plan to provide 100-year flood protection along the Boneyard Creek. 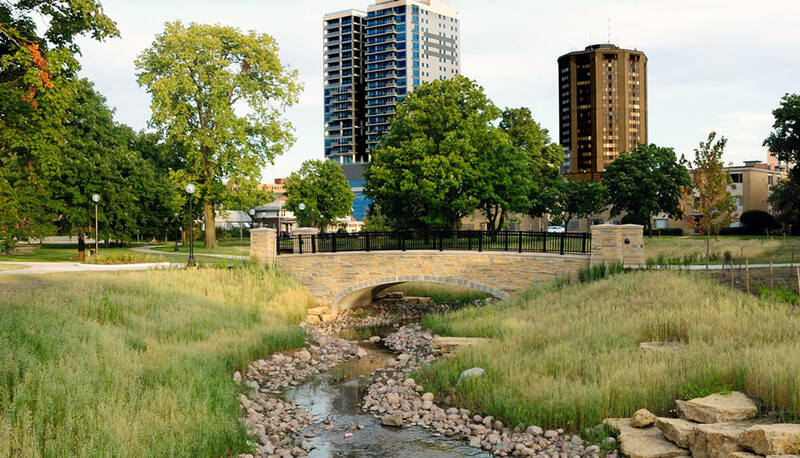 The Boneyard Creek Improvement Plan includes both above- and below-ground stormwater detention to increase the level of flood protection and provide detention capacity sufficient to support future development. 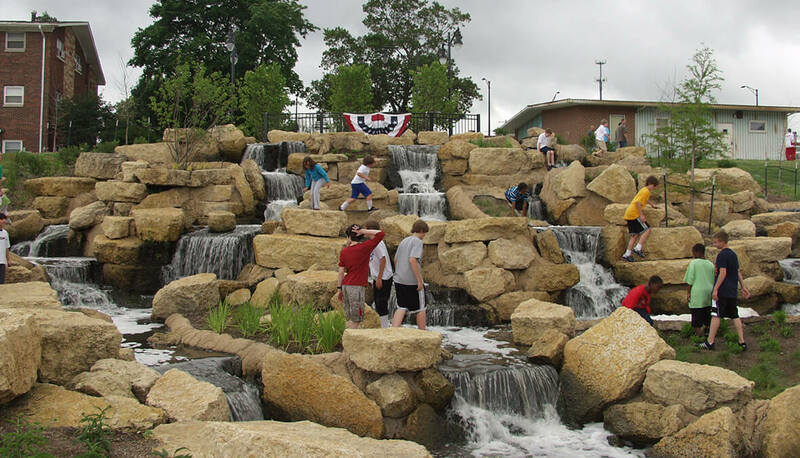 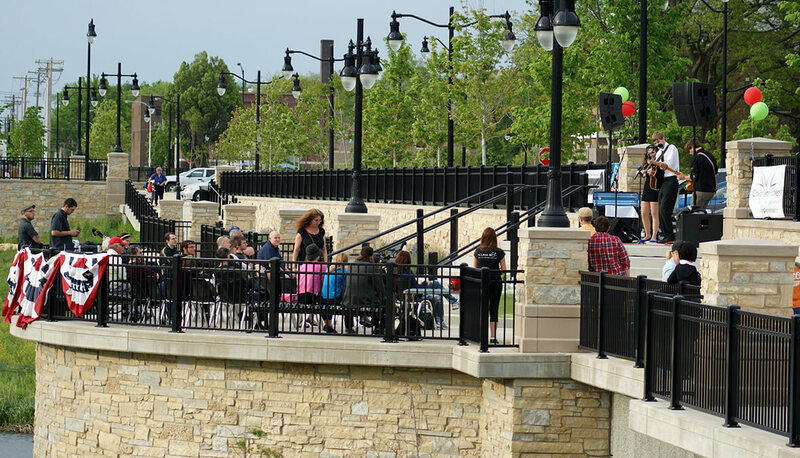 Improvements along the creek include pedestrian pathways, overlooks, plazas, gateways, streetscape, parking and bridge enhancements, all within a naturalized landscape setting that now offers a location for the multiple events the city and organizations host for the community.